Are you brushing twice a day? For most people the answer is probably yes. 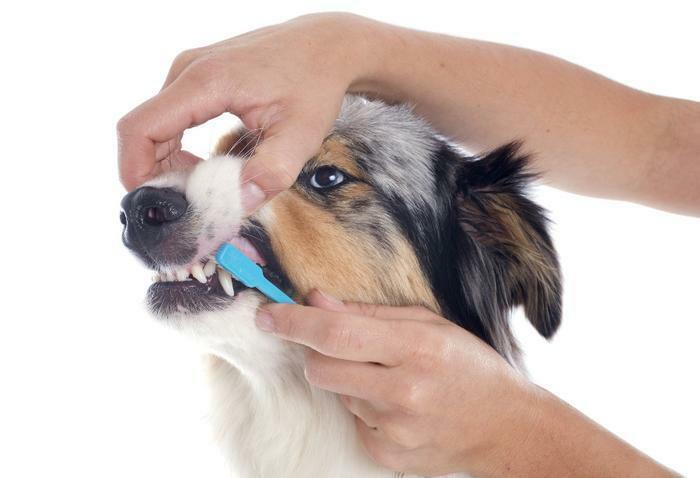 How about if we change up the question and ask if you are brushing your dog's teeth twice a day? Probably not, right? The Veterinary Oral Health Council (VOHC) does recommend you brush your dog's teeth daily and twice a day is even better, according to Dr. Jan Bellows, DVM, a board certified veterinary dentist in Weston, Fla.
My guess is you will see people pull out a toothbrush for a special occasion if they have a gathering at their home where the dog will be shaking a lot of paws. Owners will try to avoid having their dogs greet their guests with dog breath which as we all know is an awful smell. But really, dog toothpaste is usually meat flavored so it's not going to be the same as if you had brushed and given yourself a good Listerine swirl. The problem is that plaque and bacteria develop in your dog's mouth. If it's not brushed or scraped away, plaque can turn to tartar within 36 hours. Tartar buildup can lead to painful, inflamed gums, and open the door to infection and periodontal disease. So the answer is, you really should do something. If you aren't a regular brusher, quit slouching and wondering if you're a bad parent. There are some ways to help keep your dog's teeth clean and you see them in the store all the time. One simple method is the dog treats that claim that with regular chewing they will maintain the oral health of your dog. These do help but be advised not all dog treats are created equal. You want to look for a long lasting chew toy or treat -- not jerky, which has been implicated in unexplained dog deaths and illness. Look for things like rubber or nylon chew toys, or a knucklebone. Your dog should spend about 30 minutes gnawing, daily. Make sure that whatever chew you give is digestible. 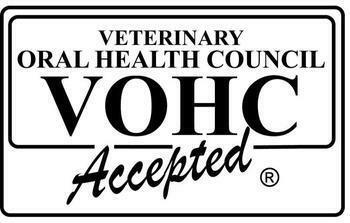 You want a product that has the Veterinary Oral Health Council’s Seal of Acceptance. A list of approved products is on the VOHC's site. Avoid feeding things that can cause damage like large ice cubes which can fracture the teeth. Not that you would feed your dog a tennis ball but many are obsessive over them and they are really hard on a dog's teeth. They collect tiny particles of dirt and sand and will wear down the teeth. Even the homemade treats you spend creating with love, care and the best of intentions may not be the best thing for your dog. Dr. Bellows recommends something shaped like a bone with a 75-degree twist, "along with nubs and ridges designed to help clean down to the gum line like the bristles on a toothbrush," the chews also tout themselves as a low-calorie option. But remember that while chew toys can help get rid of plaque, there is no replacement for annual check-ups from your vet and brushing at home. Does your dog's snoring keep you awake?